Sometimes, all you want to wear is a low-key chic red dress! Whether you’ve got a party to attend or a brunch date with friends or a solo picnic with a book in the park singing with the birds, there’s no denying the classic appeal of the red dress. The midi red dresses that I’ve gathered down below will have you putting everything down and get to measuring your waistline. A red dress can be a lady’s powerful attire that expresses her love for herself and an appreciation to the life that is coursing through her. 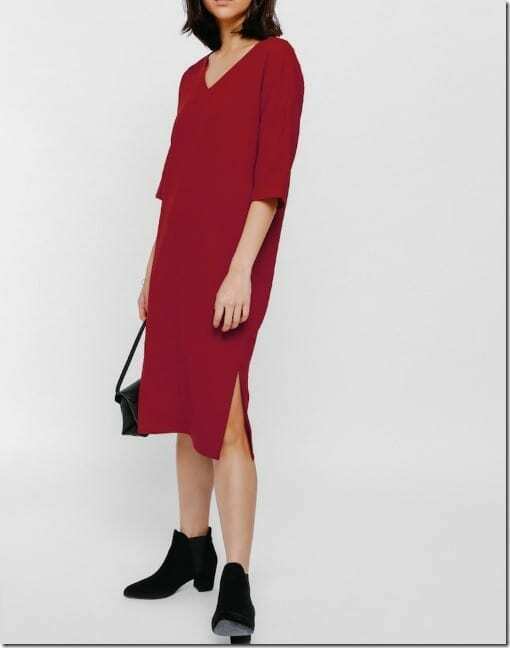 Each month, we are somehow tempted to put the muted pieces that make up our neutral minimalist outfits aside so we can look and feel our most brilliant in a red frock. 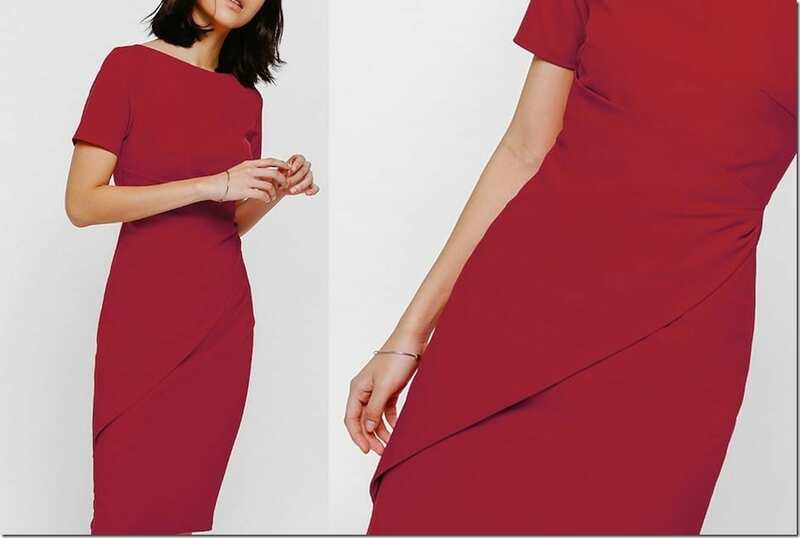 If you’re feeling like it is the perfect time to spruce it up in a red midi dress, I hope you’ll find the list down below inspiring and helpful. For a redefined twist on the red dress, opt for this cape style number as it simply oozes mystery and refreshing femininity. The bodice with the fabric overlay in particular makes this dress a breezy scene stealer and I just am all about it. The carefully-placed ruched details make this red dress a celebration of your figure. 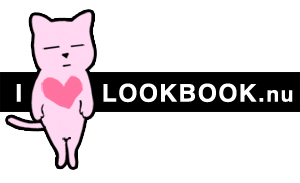 The short sleeves and the high neck style have my heart at hello! The relaxed silhouette on this red dress is wonderful if you’re aiming to dress comfortably. The three-quarter sleeves add into the laidback effect even more along with the side splits. Which midi red dress style is your favorite? Share below – I’d love to know.